A Statutory Law came into effect on 6th April 2012 Requiring all commercial properties placed on the market for sale or rental to provide an Energy Performance Certificate (EPC). It is a document providing information of the energy efficiency and the Carbon Emissions of a building and is the similar to the domestic EPC as part of the home information pack introduced in 2004 provided when buying a home. 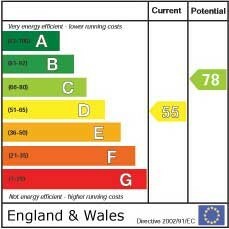 The EPC is a graded visual system to easily display the current Energy Performance and the potential Energy Performance of a property. It is designed to help reduce the carbon footprint of the UK. EPC’s are generated by an accredited Energy Assessor, Harvey Silver Hodgkinson are happy to recommend a company who can help you and one who is experienced in commercial premises, however you can use whoever you wish. An EPC is valid for 10 years for a property, unless a more recent EPC has been produced for the property however, if there are any alterations to the property a new EPC will be required. Are there any circumstances when one is not required?